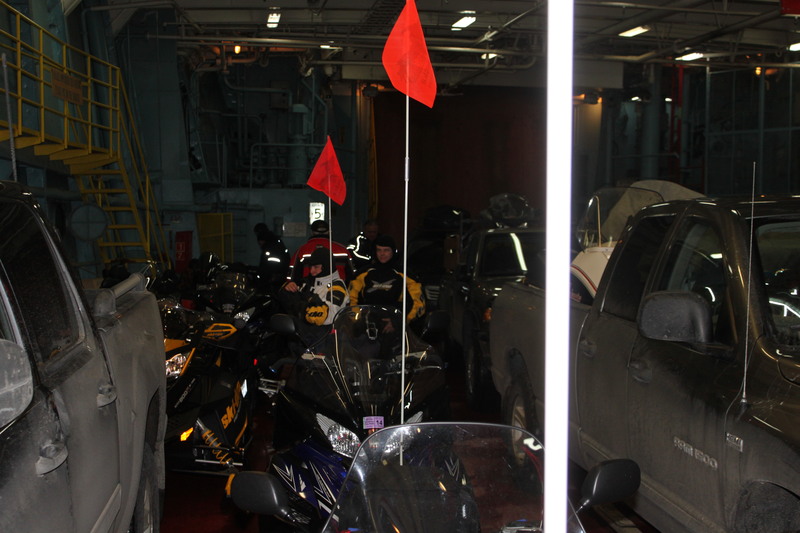 We rode the Ferry on Sunday night from Baie Comeau, Quebec to Matane which is on the Gaspe Peninsula. The ride took two and a half hours. We are ready to start our adventure on the Gaspe starting Monday morning. Dave Gentry, Jim Adent and Joe Polambo will be joining us when we get off the boat. We broke ice all the way across the St. Lawrence river.